Have you picked up the latest issue of Star Wars Insider? Well, be sure to grab a copy because Coffee With Kenobi co-host Dan Z has a new article that you won’t want to miss. “Under the Microscope: A Closer Look a Midi-Chlorians” tackles one of the more controversial aspects of the prequels, and Dan turns to fellow Star Wars experts for their input on the matter. Ian Doescher (William Shakespeare’s Star Wars series), Kyle Newman (director of Fanboys), Paul McDonald (The Star Wars Heresies), and the other half of CWK, co-host Cory Clubb, all weigh in on the mystery of these symbiotic creatures and how they relate to the Force. 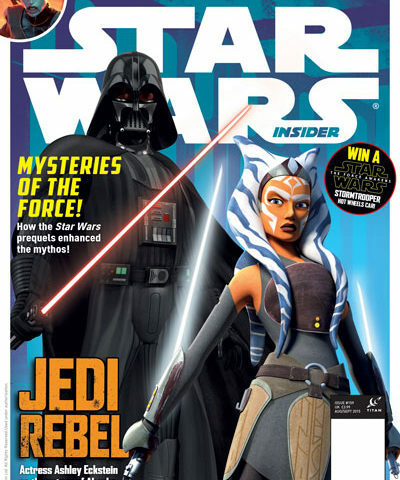 You can find issue #159 of Star Wars Insider on newsstands now. Find out more about Star Wars Insider at http://titanmagazines.com/t/star-wars-insider/.